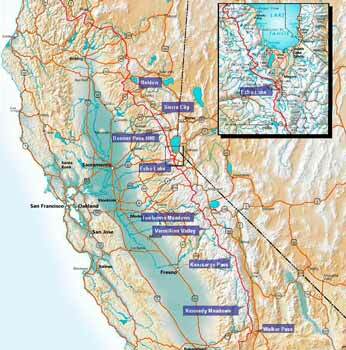 Introduction The Pacific Crest Trail in Central California is in many respects the finest part of the trail. Most of its length consists of satisfyingly high granite mountains with many lakes and a remote feel being far above and away from urban California. 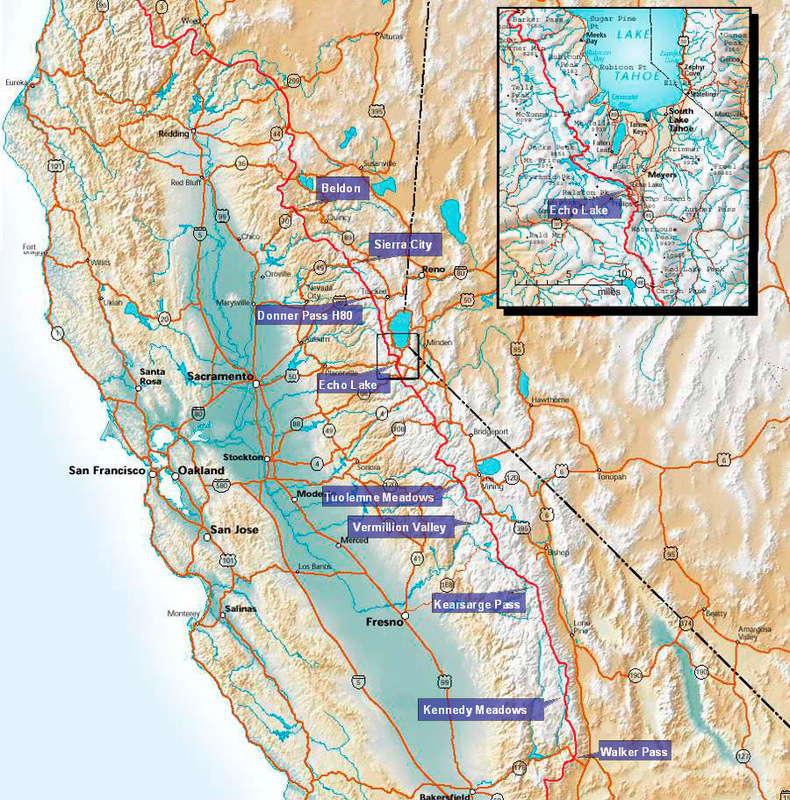 Its main feature is the Sierra Nevada mountain range running roughly north-south and the PCT joins up with another more famous and popular path here for about 130 miles - The John Muir Trail. During this stretch the hike traverses spectacular high alpine mountains up to 13,000 feet and passes beneath the highest point in the contiguous US, Mt Whitney. South of Mt Whitney the trail slowly drops down to more arid high terrain, past the outpost at Kennedy Meadows and on to our finish point on Highway 178 at Walker Pass. This is the location where we had walked north to from Mexico for the first 650 miles of our journey and would mark the end of our hike. We decided whilst in Beldon to start this section at Donner Pass, 130 miles to the south. This meant that we would be able to hike a more attractive section with Gordon and Eric and would give us a better chance of reaching Walker Pass, 505 hiking miles away before winter snows set in.